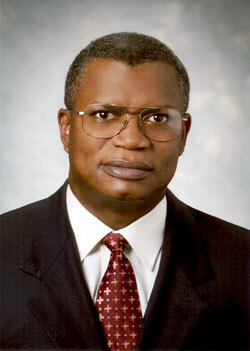 The University of Miami has appointed Rudolph “Rudy” Hamilton Green to its newly created position of Vice President and Chief Compliance Officer, effective early January 2013. Green, who has served as Director of University Compliance Services at the University of Texas at Austin since 2007, will be responsible for creating a robust compliance environment that can be recognized as best practice in research and academic medical center universities. At the University of Texas at Austin, he successfully led the institutional effort for compliance and ethics to become an integral part of the university’s structure and culture. Reporting to President Shalala and the Audit and Compliance Committee of the Board of Trustees, Green’s scope of responsibility and influence will span all compliance functions of the University, including but not limited to the Miller School of Medicine and Athletics. The breadth of responsibilities for this key post will include establishing a program to better manage institution-wide compliance with all state and federal laws, rules and regulations; requirements of applicable governing bodies; and the University’s established Standards of Conduct. Green will also provide senior leadership to the internal audit functions, including oversight of the University hotline, ensuring appropriate resolution of issues regarding compliance, and internal control allegations. Green earned an M.B.A. and a J.D. from the University of Texas at Austin and a bachelor’s degree in administrative sciences from Yale University, where he was captain of the football team. He previously worked as an attorney at the law firm of Graves Dougherty, Hearon & Moody, handling business and real estate for its clients, and as general counsel for Prime Cable/Prime Management Group, working in the heavily regulated cable television industry. He is an active member of his community, serving on the boards of Waller Creek Conservancy, St. Stephen’s Episcopal School, and the Austin Museum of Art, and as an adviser to numerous local civic and charitable organizations. He and his wife Joyce have one son.